Malaria represents one of the international community’s most pressing public health problems. The parasitic, mosquito-borne disease is a leading cause of death and illness among young children, hitting hardest in resource-poor tropical and subtropical regions. Every year, malaria kills hundreds of thousands of people, most of them African children under age five. Pregnant women and their unborn children are particularly vulnerable to the disease, which contributes to anemia, low birthweight, premature birth, and infant deaths. Children who survive bouts of malaria do not escape unharmed. Episodes of fever and anemia often affect their mental and physical development. Malaria can have a debilitating effect on adults as well, often removing them from the workforce for days or weeks at a time. The parasite is complex and adaptable, and it has survived for millennia. Therefore, we need many tools to defeat this disease—tools that save lives today and those with the potential to save lives in the future. A safe, effective, and affordable malaria vaccine would help close the gap left by other interventions. The current fight against the disease is being waged on a variety of fronts, including the distribution of bednets, the promotion of indoor spraying, and the development of new medicines and insecticides. A vaccine would help close the gap left by these interventions. Malaria routinely develops resistance to drugs. Mosquitoes routinely develop resistance to insecticides. From smallpox to polio to whooping cough, vaccines have offered a cost-effective and efficacious means of preventing disease and death. Even a modestly efficacious malaria vaccine could protect hundreds of thousands of people from disease each year. Increased investment by donors and the private sector have made possible significant scientific advances since 2000, and helped bring malaria vaccines within reach. However, these investments will need to be continued, if not increased, to sustain progress. It costs half a billion dollars or more to move a vaccine from the laboratory to a safe and effective product. Current funding is not enough to get a malaria vaccine across the finish line. 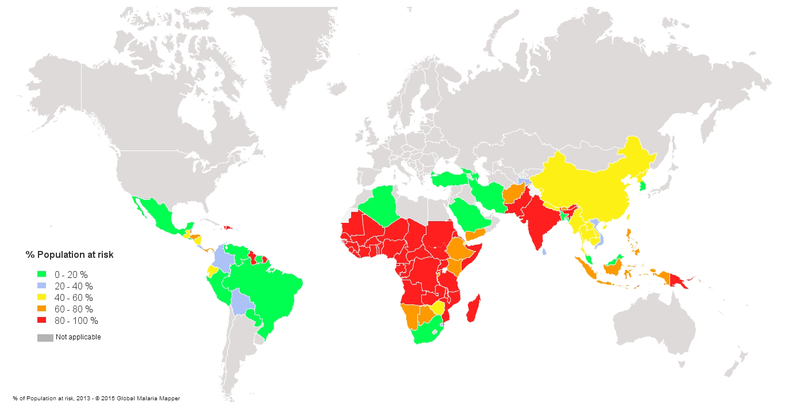 The international community is embracing the long-term goal of eradicating malaria. To achieve this goal, more donors are needed to provide support, more scientists and vaccine developers are needed to invest their political and intellectual capital, and national, regional, and international policymakers must lay the groundwork for malaria vaccine delivery and use.